Revealed America was founded in 2010 after Marty Behr traveled Western America’s wildest terrains for more than two years, rediscovering their grandeur and diversity. Learning that visitation to the parks was declining, he made it his mission to reverse that trend by introducing a new luxury experience that wasn’t previously available. Today, the Revealed America team are stewards of the National Parks and specialize in offering custom trips to couples, families and groups of friends around the National Parks, California, Alaska and western Canada. With hand-selected guides out in the field every day, Revealed America’s advice is always of-the-moment, unbiased and fully vetted. Hot off the heels of being honored on the WOW List of Trusted Travel Experts for 2018, Marty Behr, shares his Top 5 insider tips for planning the perfect vacation to uncover the best of America and the National Parks. The National Parks are among the best family vacation destinations. Two of the best in the American West is Yellowstone and Grand Teton National Parks, accessed from Jackson, Wyoming and Big Sky, Montana. 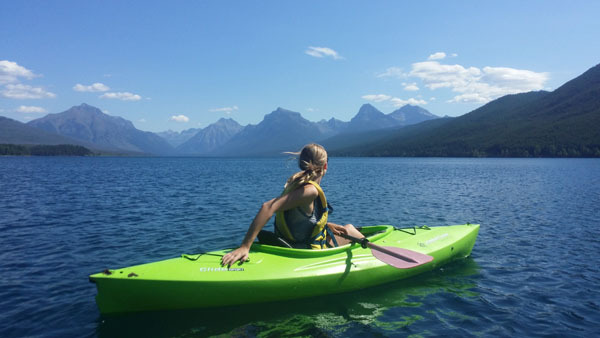 Activities for the whole family amidst the dramatic beauty of the Teton Mountain Range and Yellowstone’s geysers include: wildlife viewing (best in the Lower 48 States), hiking, river rafting (whitewater and scenic floats), horseback riding, rock climbing & rappelling, biking (mountain and paved path), zip lining and more. Accommodations include 5-star Amangani, Four Seasons Jackson and Big Sky home rentals, plus many fine 4-star properties and condominiums. In Yellowstone, the 5-star Sage Lodge which is 30 minutes from the north entrance offers access to world class fly-fishing and guided tours and hiking. Each National Park has a “secret season” when it is much less crowded – and frequently the best time to be there. For example, visit Yosemite in the spring outside of spring break period, anytime from February to May – the waterfalls are at their maximum flow and there are fewer people than Spring break or the summer. Visit Yellowstone in September and October after the summer crowds are gone, with milder temperatures – and with fall colors (golden aspen) and excellent wildlife grouping up as they prepare for winter (including bugling male elk looking for mates). Go to the local rodeo in Cody, Wyoming outside Yellowstone National Park with a local guide, who will introduce you to some of the local cowboys and cowgirls and introduce you to the best local BBQ. The Five Star Cougar Ridge Lodge is one of our favorite hidden gems in the Capitol Reef National Park in Utah. Capitol Reef National Park is the unknown of the Big 5 National Parks in Utah. (Others are Zion, Bryce, Arches and Canyonlands). 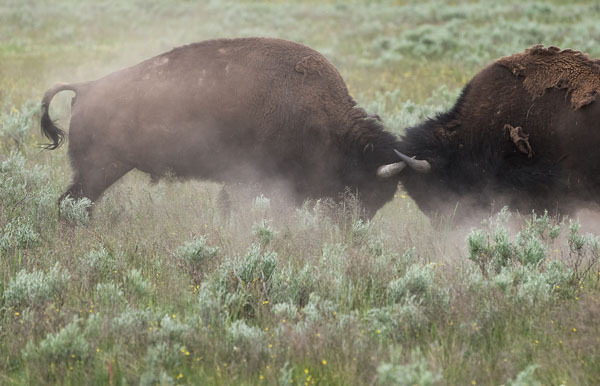 The park offers a wide range of activities from hiking, 4-wheel drive tours (just outside the park), Native American petroglyphs, historic Mormon settlements, fly and spin fishing, bison herds, horseback riding (just outside the park), and more. 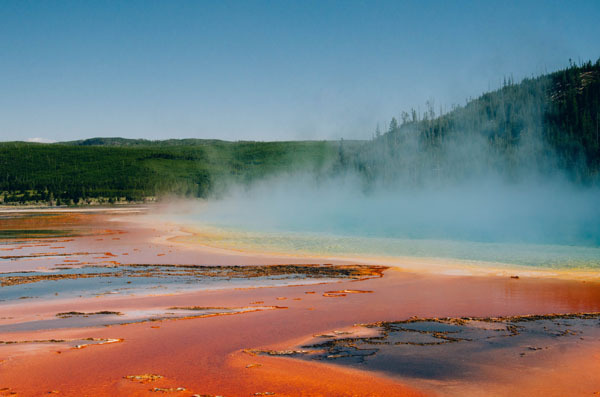 Traveling between the most-popular “Big 3 National Parks” – Yellowstone, Grand Canyon and Yosemite — can be a daunting experience, requiring multiple air connections and a full day for each connection. To maximize your time, and to allow day stops at other “Hidden Gem” parks on connection days, consider a “Big 3 National Parks Flying Safari”. This is the ultimate way for a private jet owner or club member to tour the Big 3 National Parks in a week, without long drives or multiple air connections. Start at Yosemite in the Sierra Nevada Mountains in California, flying into Fresno on your private jet, where you will be met by your private driver-guide. Enjoy two days of touring and hiking amidst the waterfalls and rock formations that crown the park. Then fly in your private jet directly from Fresno to Grand Canyon Airport for two days exploring the Canyon with a private driver-guide, including hiking, biking and Native American sites off-the-beaten path. Then fly from the Grand Canyon Airport to Moab, Utah for a day exploring Arches National Park with a private guide, including backcountry roads and arches not open to the general public. 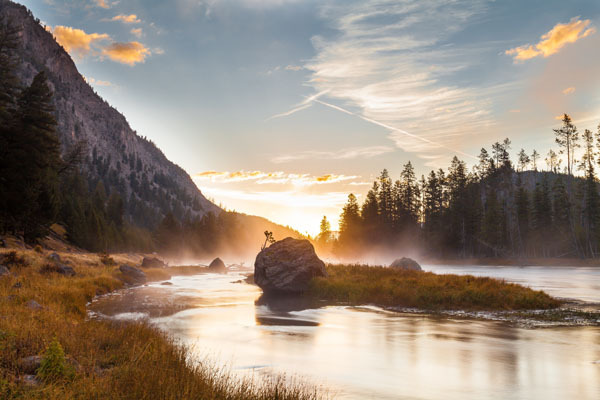 Late that afternoon continue to Bozeman, Montana for two days of activity including wildlife viewing, tours of the geysers and other geothermal features, hiking, biking, fly-fishing and more. National Parks are huge, and typically 90+% of the visitors gather in 5% of the parkland where the visitor’s center or main park lodge is located. Our guides take our clients elsewhere. 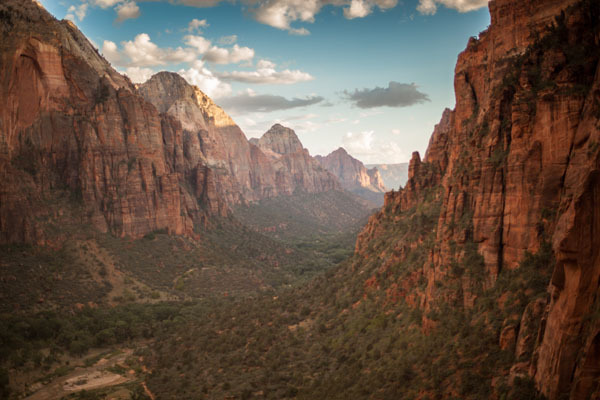 For example, at Zion National Park, we visit and hike on the East Side of the Park, and typically see no other people, but we do see Bighorn Sheep, Native American petroglyphs and colorful slot canyons. At the Grand Canyon, our guides will meet guests at their hotels outside the park and take them around the long entry lines to a side entrance at which we, and a few others have access. And once at the canyon itself, our guides will access viewpoints with few other people, due to special access roads and areas. Finally, at all National Parks, we recommend a very early start, which provides cooler weather in the heat of the summer and fewer people. Visit Napa Valley and Sonoma Now! Many hotels are offering the fourth night free and other promotions through March 31 because of the low occupancy following the October fires. There are many wineries, vineyards, prime hotels and restaurants untouched by the fires. A lifelong believer in the transformative power of nature, Marty is on a mission to reacquaint the public with America’s national parks. 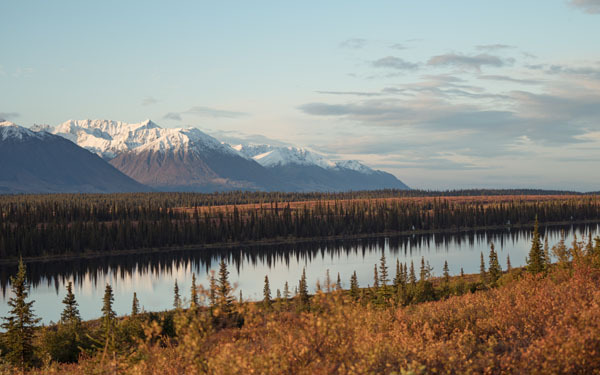 Focusing on parks west of the Mississippi and in Alaska and southern Florida, he has spent years exploring these wilderness areas, identifying the most experienced guides (some PhDs), testing lodging options all the way from cushy hotels to backcountry base camps, and meeting the local characters that bring life to each park—and, now, each trip. He loves to arrange trips that get people just slightly out of their comfort zone, always including activities adjusted to each traveler’s ability level, whether that’s a gentle float or Class IV whitewater, an easy walk or a punishing hike. He also specializes in outdoor-focused trips to California, from redwoods to beach to Sierras. Most of his travelers choose to drive themselves around, detailed itinerary in hand and guides accompanying them when helpful, but for those with far more money than time, he can book chartered planes to whisk groups from park to park. He can even make Yosemite, Yellowstone, and the Grand Canyon doable in a single trip. Custom-tailored, soup-to-nuts trips start at $5,000. No lodging-only or activities-only requests. Revealed America is the only company with the expertise, connections and relationships that can design fully customized active vacations in the National Parks and National Monuments. They create trips within the western United States, California and Alaska for active, curious and upscale travelers and their families. The Revealed staff and its team of private guides has thoroughly researched, vetted and experienced the parks, hotels, resorts and lodges that are featured in their itineraries. They know the best trails, ‘hidden gem’ spots, where to go to get away from the crowds. They have the insider, exclusive access and obsess over and embrace the details. These are but a few of the elements that make vacation experiences with Revealed America as magnificent as the destinations they take their clients to.